There’s no easy solution; and instead of making a promise, Jaitley has announced that NITI Aayog will draft a policy after consulting the states. We want the finance minister to deliver for the country what we find difficult to achieve even for our homes: benefit for everyone. It is seldom acknowledged that the FM has an unenviable task of pleasing everyone, and yet not annoying the taxpayers – ranging from corporates to individuals to retired persons. Yet, the most challenging of his tasks was to suggest a formulation which would give a message to rural India that the government not only stands by its previous promises, but it also cares. So how has the FM really performed for the agriculture sector as a whole? He has settled the issue of the promise made in the BJP manifesto that it will ensure 50 per cent profit over the cost of production to farmers. Since the formation of the government in 2014, it has been under pressure to honour this commitment. By announcing that the government will keep the minimum support price (MSP) at one-and-a-half times the production cost, the FM has given a clear message that, in cost of production, he does not include imputed rental value of land. Safflower is the only rabi crop which does not meet this formula. Having made a sort of blunder in drafting the manifesto, the FM has sought to successfully wriggle out of mess of the Swaminathan formula. It is a different matter that giving 50 per cent profit over C2 for all crops, irrespective of other factors, is neither desirable nor practical. The FM has also signalled that there is no easy solution to delivering MSP to farmers for all crops. Instead of making a promise, he has announced that the NITI Aayog will draft a policy after consulting the states. It is not an easy task to ensure that all farmers across the country receive MSP for their produce. So basically, he has bought time in the hope that the government would not have to deliver on this before next parliamentary elections. It is a good idea to upgrade existing ‘haats’ (markets) in rural areas, but we should not expect that they will be integrated into eNAM in the near future. At best, they can be provided some basic infrastructure like drinking water, toilets, and clean space for trading. However eNAM itself can be galvanised to provide real electronic trading at least within the state. The government can make a beginning by not showing procurement at MSP as turnover under eNAM. The FM made a welcome announcement to increase the outlay for the Ministry of Food Processing from Rs 800 crore in 2017-18 to Rs 1,400 crore in 2018-19. The cold chain projects set up with a grant of up to Rs 10 crore from the ministry are mostly successful, but we cannot say the same about mega food parks. A large number of plots in old as well as new food parks are lying unutilised due to various reasons, and the government would do well to revisit the scheme. In my view, no new food parks need to be sanctioned, and the money saved from this can be allocated to cold chain projects. The decision to set up a fisheries and aquaculture infrastructure development fund and an animal husbandry infrastructure fund is welcome, but modalities have not been announced and, it is not clear if NABARD will operate these funds. The two funds announced last year for micro-irrigation and dairy processing have not taken off in right earnest. In addition to cooperatives, private sector units of milk processing should also have access to dairy fund. The animal husbandry sector has been good source of income for farmers, but recent violence against meat traders and restrictions on sale and purchase of animals in mandis has depressed the prices, even though the Supreme Court has granted a stay against the notification of the Ministry of Environment and Forests. The FM also announced a new scheme for subsidising the machinery required for the management of crop residue, but no financial allocation has been made for the same. It is a welcome announcement, and one hopes that the scheme will be made operational before paddy is harvested in October-November. The allocation for food subsidy has gone up from Rs 1.40 lakh crore to Rs 1.69 lakh crore. Arrears on the Food Corporation of India alone will touch Rs 1 lakh crore on 31 March 2018. Year after year, the mandarins of the finance ministry find innovative methods of delaying these arrears. This year, the government gave a loan of Rs 81,000 crore to the FCI from small savings. I see no reason why the much talked about Aadhaar-based direct benefit transfer has not been adopted for disbursement of food subsidy even in food-surplus states like Punjab, Haryana and Andhra Pradesh, where availability of food grains is not a problem and it makes no sense to distribute wheat and rice under the public distribution system. 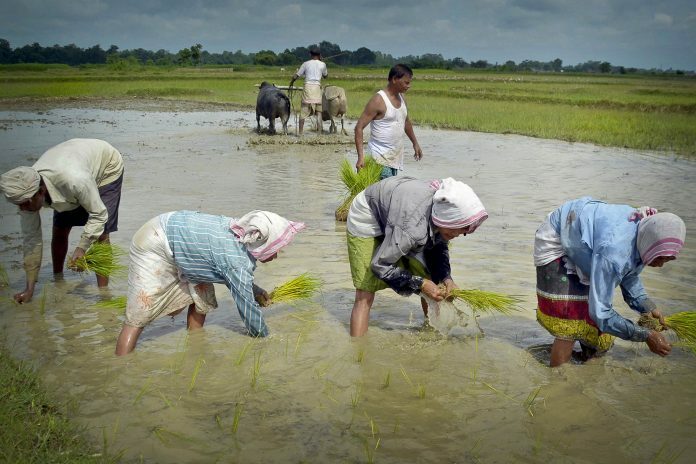 The FM has done well to increase the allocation for crop insurance from Rs 9,000 crore this year to Rs 13,000 crore. One hopes the states will also make adequate provisions so that premium subsidy is paid to insurance companies in time, and they do not have any justification to delay settlement of claims. All in all, the FM has done a good job of creating an opportunity to rejuvenate the rural and agriculture sectors. Major reforms of subsidy on fertilisers and food were not possible in fourth year of the government, and the earliest these reforms can now be undertaken will be in 2019-20. We don’t know if the new government will have the parliamentary majority to consider such reforms, and thereby hangs a tale. Siraj Hussain is a visiting senior fellow, ICRIER.